Becksondergaard cleo scarf pink super soft and luxurious pure wool scarf from Becksondergaard perfect to take you into spring. 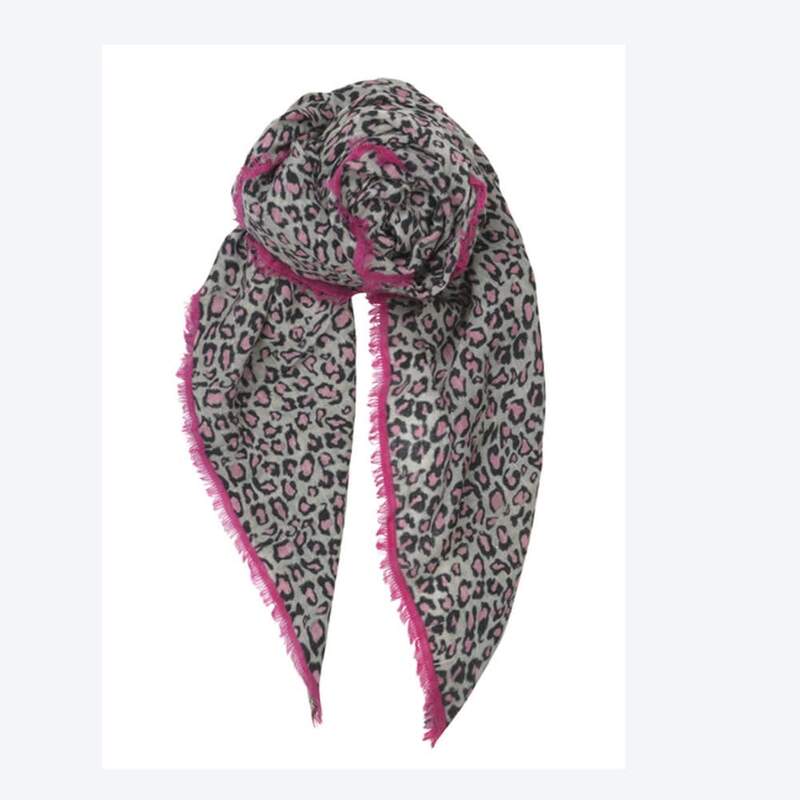 This features an animal print in soft pink with a dark pink border and fringing. Printer And Tailor in Hereford, United Kingdom.